I was recently contacted by the wonderful store owner at The Eczema Company and thought that their great products would be very helpful to moms who struggle with keeping eczema at bay with their children. 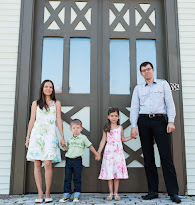 The owners are a family with a child who suffers from eczema and they started the business as a way to help other parents that struggle with the same challenges of childhood eczema. My four year old daughter has very sensitive skin, though she has never had recurring eczema, thankfully. About a month ago she was complaining about itching on the back of her legs, this was before the warm weather hit and she was wearing pants. At bedtime when she was changing into her pajamas and complaining about the itching I saw the dry, red, crusty patches on the back of her thighs, knees, and calves. I've never dealt with anything like that, so I was surprised. She has had rashes before from foods she ate (mostly sweets with additives), but nothing like this. After some reading and looking at photos I was convinced it's classic eczema. I still don't know what triggered it, but I'm sure it was something she ate when we visit grandparents and I couldn't pinpoint one thing since while there she has consumed everything from GMOs to food coloring, preservatives, and the usual allergens (nuts, eggs, wheat, dairy, soy, etc). The Eczema Company sent us some wonderful items to review that I cannot praise enough! First, the amazing Calendulis Natural Eczema Cream from Homeopathie Quebec, it is nothing short of incredible. Until it arrived, I was applying a natural balm that we had on hand for soothing dry skin/irritation and it didn't seem to do much for my daughter. The eczema on her legs didn't budge and I really hoped the Caledulis Cream would work better. 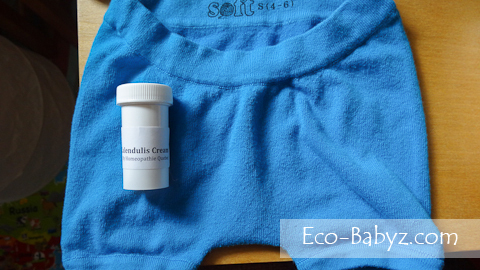 When it arrived we applied it right away, a thin coat in the evening with merino wool pajamas she wears to sleep. She finally slept well and the itching didn't bother her, in the morning the dry, red patches were significantly clearer and in two days all the inflammation was gone with twice daily application! Don't just take my word for it, read all the other awesome Calendulis Cream reviews from parents whose children had major eczema flare ups. At $18.75 for just over an ounce, it's not cheap, but as others will agree, it's a price worth paying for clearing up eczema and minimizing the need for driving to doctor's visits and getting prescriptions for chemical based creams that don't always work. It also comes in a large tub of 4.2 ounces for $46.75. For a child with sensitive skin or sensory issues, finding clothing that they do not complain about wearing can be a challenge. Baby E has a slight problem with tags and seams on some clothing. She prefers everything that's soft and super comfy to wear, so she was really excited about the Dundies Elastic Free Underwear ($10.89, below). We got the size 4/5 and they are perfect on 4 year old Baby E - though she is small for her age and still wears a lot of size 3T clothing. 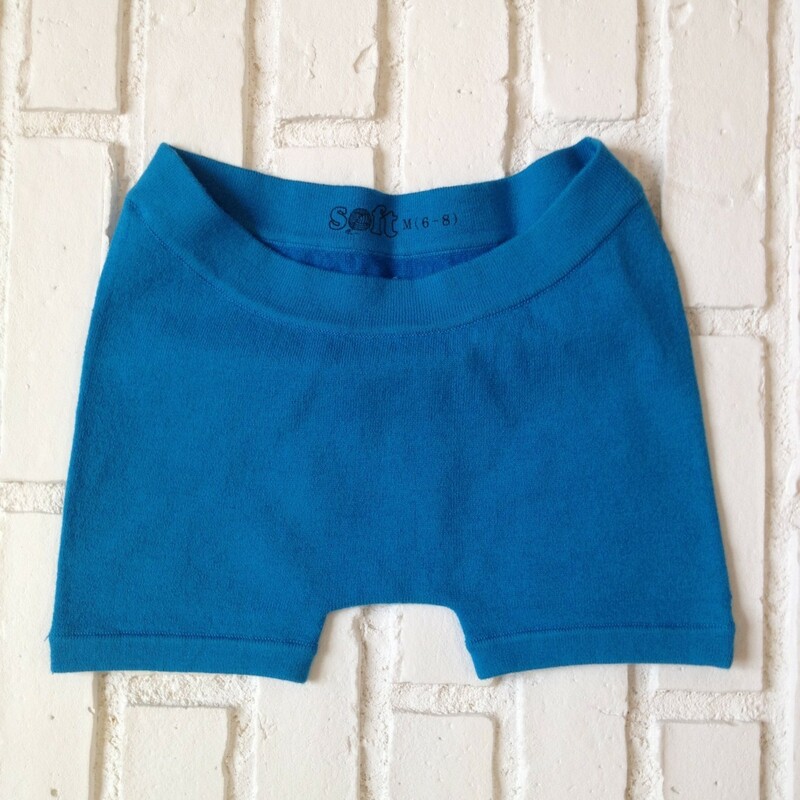 I would say you can size up for these undies if your child is average or bigger than average for his/her age. They shrink just a tiny bit in the wash. If you are a parent of a child with allergies and/or eczema, you may find a lot of helpful information on the It's an Itchy Little World blog. The family that owns this small business has tried many eczema friendly products with their son who has eczema and it is these tried and true products that are available in their store. You will find wet wraps, natural laundry products, clothing, and skin care products, among other things. Shipping is always free for orders of $75 or more in U.S. and Canada. One of you will win a $30 gift certificate to spend at The Eczema Company as you wish! My son has food allergies, asthma, hyperuticaria (gets hives just by touching or rubbing, and eczema. We are kind of a mess. Both my 1 year old and 3 year old have eczema. We are actually dealing with a bad flare up right now, so this review came at a perfect time. We have tried many different remedies but we aren't seeing any relief. We will have to give this product a shot. 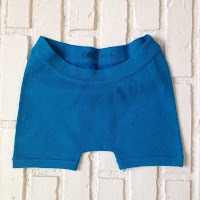 my son has really sensitive skin and wont tolerate anything besides cotton so we'd love to try the cotton pants with feet! Out of 3 kids my older daughter have really dry arms and legs i would refer that to eczema. She would not let me put any lotion on her skin because she doesn't like the feeling afterwards. I do try my best with coconut oil. I'd like to try the Kumfy Cotton and some other kinds of adult clothing. This company offers some awesome products. I would like to have the SmartKlean Laundry Ball. We do have some eczema patches; would love to try the calendulis cream. We'd love to try the Eczema Ease Balm (w/ Mango Butter). I hadn't heard about this company but I'm definitely buying the cream for my daughter. Thank you for the review.